This beautiful store is seriously a little bit of my heaven on earth. 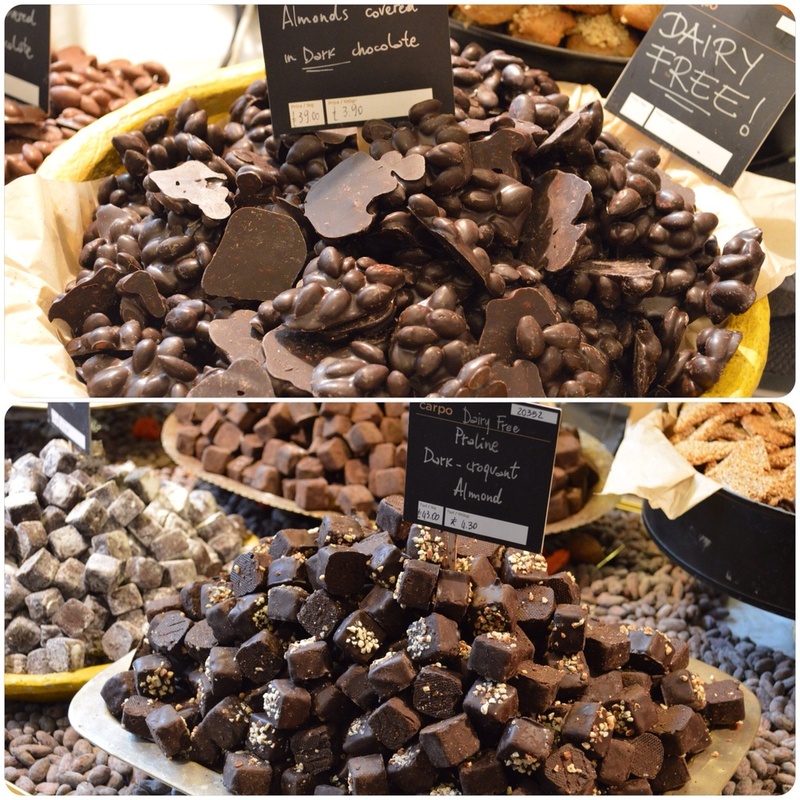 So many things I love and adore — fine chocolates, nuts, dried fruits & velvety smooth lattes. Whenever I travel somewhere new, I always seem to find a place that I was totally meant to discover and Carpo was no doubt, my place while traveling in London. So I could pretty much fall 2 doors out of our hotel and land myself in Carpo, which made it nearly impossible to pass up as I walked by everyday. Aside from loving everything they had to offer in this place, the staff made this such a memorable experience. By the end of my trip, they knew who I was and started making my latte (no foam) when I walked into the store as I’d pick out whatever goodies I was getting that day. 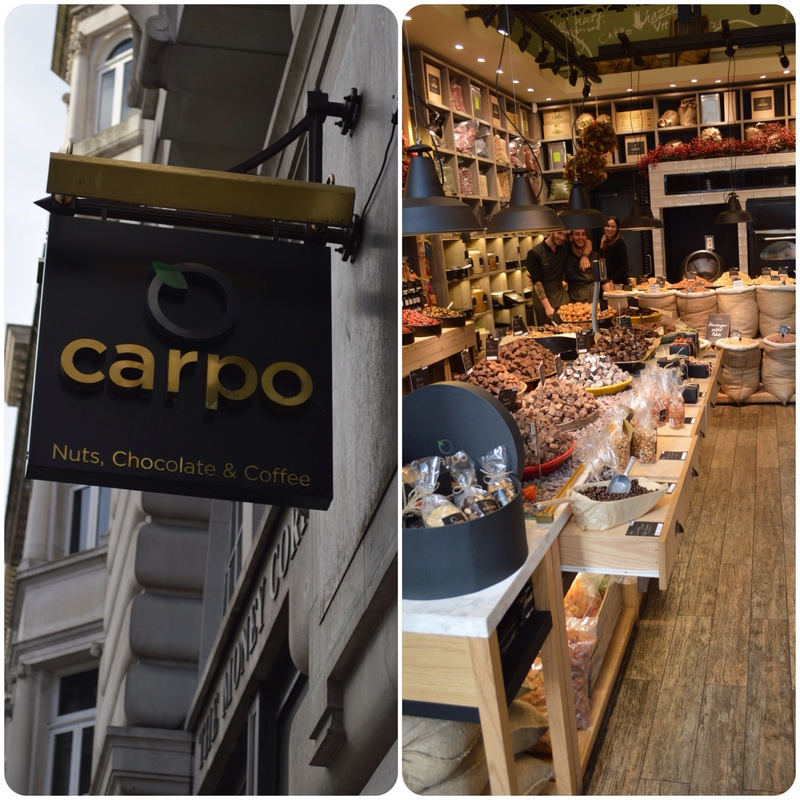 Carpo is a Greek family business that well, started in Greece and they now have 2 locations in London. Oh and, side note: The Greek boys running the show are pretty easy on the eyes. 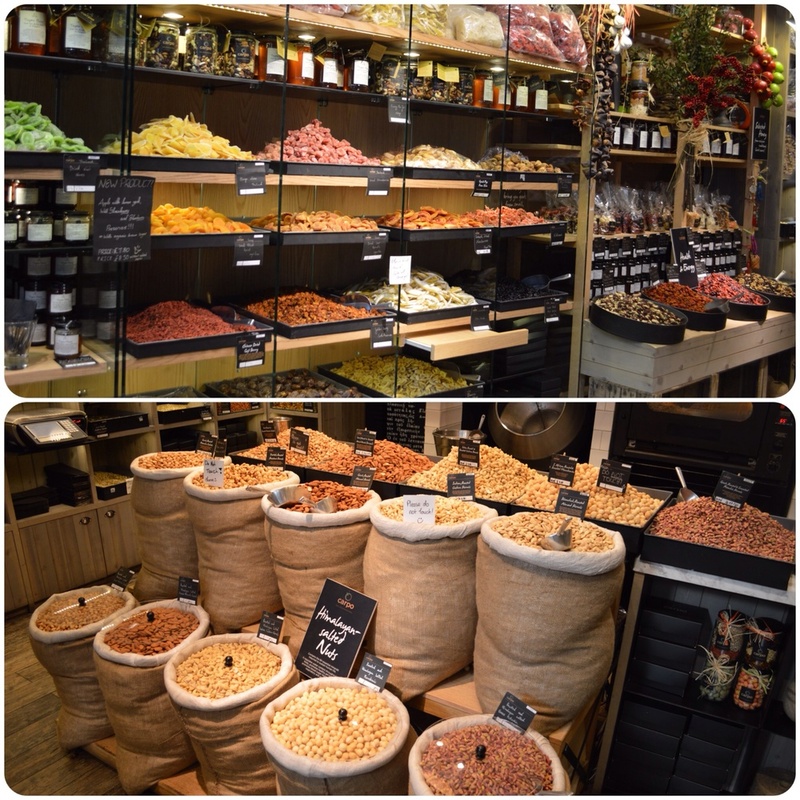 While I was looking at their crazy amounts of “Greek Roasted Nuts” I asked what makes them “Greek Roasted”? A: There’s a Greek man roasting them in the back. ha If you make your way across the pond, I’d for sure add this sweet spot in Piccadilly to your list of places to experience. Chocolate covered anything your heart desires! <3 I snagged a few Dark Chocolate covered goodies. My fave. These Health & Energy Mixes were delish. I dropped in 2 days out of the 4 I was in London to grab a small amount of this mix + a latte for a little pre workout pick me up. 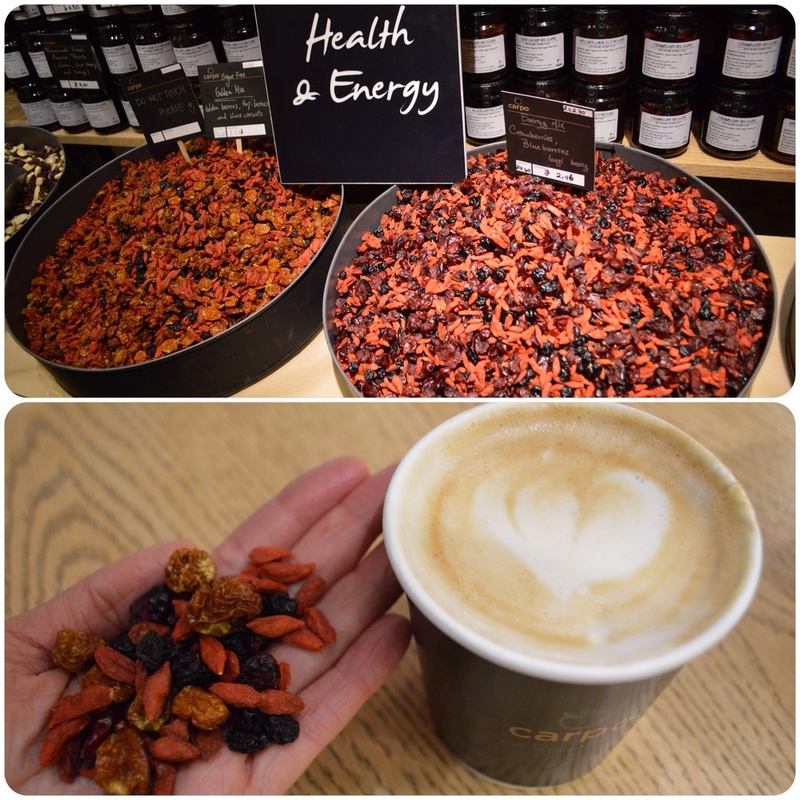 I also bought a mix of these dried berries & superfoods the night before my morning flight home for a healthy snack on the plane. Previous Post 30 Days til Spring!